Please note there are several categories of forums. Some may only appear when you are enrolled as a member of that group. Please post in the category that is most applicable to you. In order to post, you must register by clicking on "Register." You will receive an email confirmation right away with a link that you need to click on in order to activate your account. It's that simple! Please come in and stay awhile. Check here for updates about the program, meeting locations, etc. Any questions or messages for Jed and Tim should be posted here. Check here for updates and announcements about the YEL program. 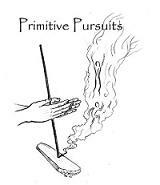 Share success stories, challenges, and anything else related to primitive skill technology. Anything related to the Kamana. This is a place where stories can be shared, questions can be pondered over, and nature's mysteries can be explored. Gather here to discuss anything related to community building. This is a place for conversations about moving forward as we collectively reclaim our natural heritage. Gather here to read and share nature stories and experiences including: adventures, encounters, sightings, mysteries, and discoveries.